The compact design, the perfect fusion of classic and modern and the high grade material, make it standout, attractive and durable; Full aluminum body: CNC anodized aluminium construction for a solid look and feel. Absolutely no flex or creak. Beautiful, functional, and programmable white LED backlights. Waterproof and easy to clean. The unique beating tone and clicky feedback, will bring you an excellent keystroke feeling. 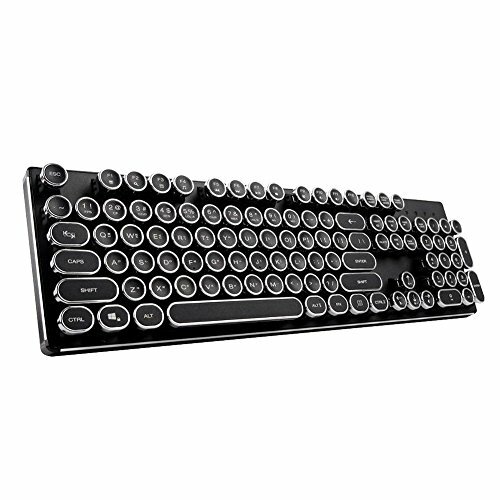 True mechanical keyboard with Oarmy switches for haptic feedback and audible click sound.